Live streaming services are pushing the limits of online video and OTT, and live events are still the standards by which the success of the industry are judged. Look here for the latest news on live streaming trends, as well as how-to and technical articles on everything from live production to live linear channels. Featuring the latest in 4G LTE bonding, VidiU Go is designed to deliver HD video reliably to your favorite live platforms (Facebook, YouTube, Twitch, etc.) in even the most challenging broadband locations. PTZOptics ZCam camera models are available with either wide-angle, 12X or 30X integrated optical zoom lenses. Intuitive analytics track audience sentiment and live webcast QoS -- in real time. SRT is an open-source protocol, developed by Haivision, which allows broadcasters and streamers to deliver high-quality, low-latency video streams across the public internet. SRT is fast becoming the de facto low latency video streaming standard in the broadcast and streaming industries. VMP is the ideal all-in-one media solution for content providers and service operators on all client devices as well as ODMs who want to incorporate the best technology into their devices. Epiphan Video's Pearl Mini delivers pro-quality live event video production. VidiU Go enhances your live productions by increasing network redundancy, improving video quality, and giving you the flexibility to deliver the best possible stream under any circumstance. With SlingStudio you can monitor, record, switch, edit and stream live HD-quality video wirelessly to Facebook, Youtube, Twitch, Periscope, Livestream, Ustream, Restream.io, and other RTMP destinations. Videoguys has just combined efforts with Telestream, PTZOptics, Xkeys, NewTek, LiveU and Roland to create these full live production bundles - perfect for Houses of Worship, Schools, Government and Corporate Organizations and more! Matrox Monarch LCS video encoding appliance makes live webcasting simple, delivering high-quality streams to Facebook Live, YouTube, or a favorite content delivery network (CDN) with multi-camera production value, without operator assistance. Making live streaming production remarkably simple even for non-professional users, Magewell's Ultra Stream HDMI standalone streaming encoder enables them to record or stream high-quality video with one click using on-device buttons or an intuitive, accompanying smartphone app. Many of today's live video encoding solutions require extensive compute resources, limiting the ability of live streaming business models to economically scale. 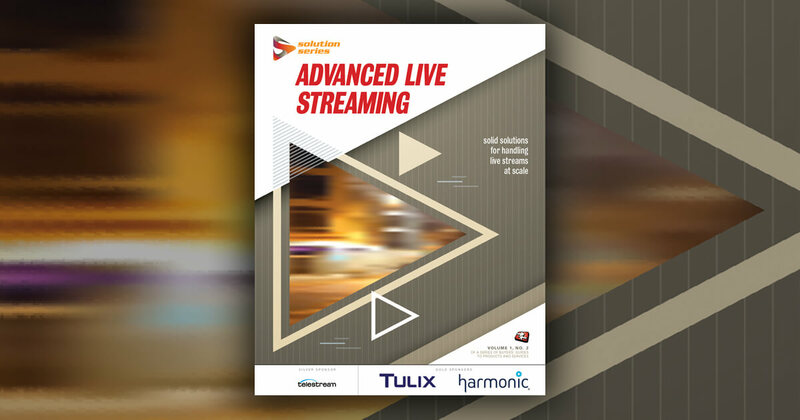 This article will introduce a new real-time video encoding solution, combining the performance of System-on-Chip (SoC) encoding, with innovations from NVMe-based cloud infrastructure, which together provides an economical and high quality solution to deliver encoding at scale for live video streaming.